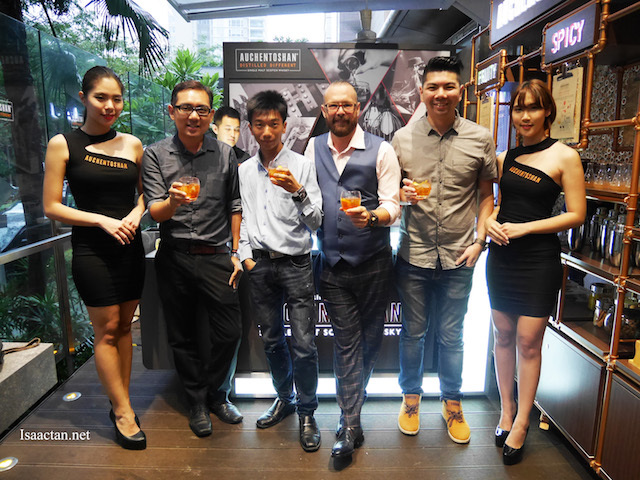 Just a couple of weeks back, I was at W.I.P Bangsar to witness the start of Auchentoshan Single Malt Whisky - ‘The New Malt Order’ Bar Takeover. Throwing out the old rule book, Auchentoshan delivers a revolutionary take on how single malt whisky should be discovered, enjoyed and experienced. Daring to be different, Auchentoshan presents ‘The New Malt Order’, which took over W.I.P Bangsar for two weeks beginning July 21, 2016. 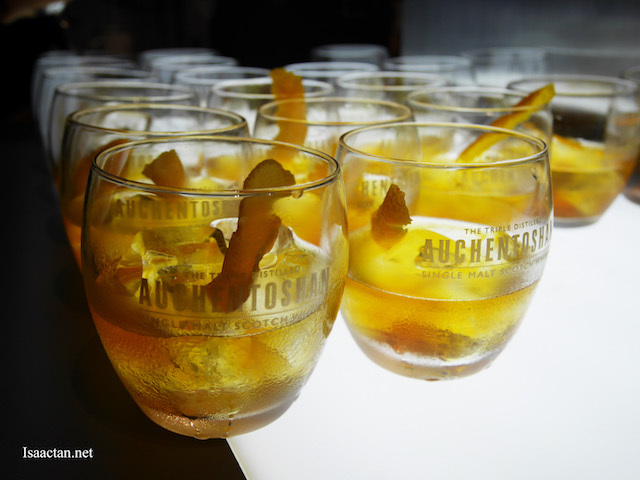 In true Auchentoshan style, the chosen venue presented a bold pop-up Taste Experiment Bar, allowing patrons an exciting way to customize how they experience the signature flavours of Auchentoshan - smooth and gutsy, approachable yet complex and secure enough to be enjoyed on the rocks or mixed into a cocktail. 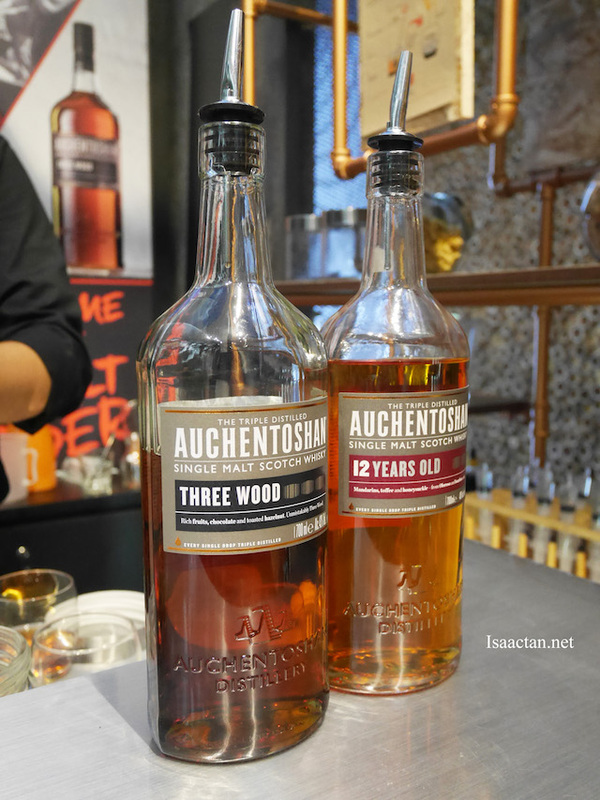 “Auchentoshan stands for its artisanal, approachable and alternative take on single malt whisky. This is why we have introduced ‘The New Malt Order’. We want to invite people to explore the diverse taste of single malt whisky in an unconventional way. 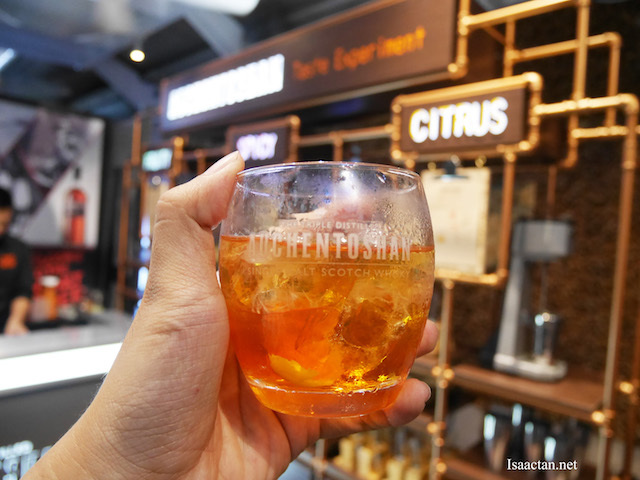 During the bar takeover, whisky lovers will be able to create bespoke drinks that they enjoy while still amplifying the key flavours of Auchentoshan and delivering the essence of our whisky to patrons,” said Sally Lim, Marketing Manager, Beam Suntory South East Asia. 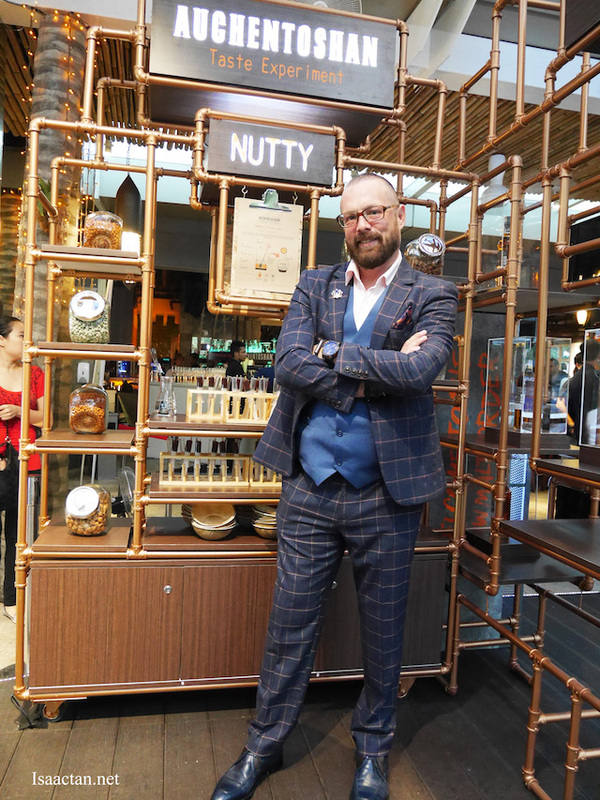 W.I.P, having established itself as a landmark lifestyle destination has been chosen to create the Auchentoshan world that is immediately distinct, arresting and unexpected. 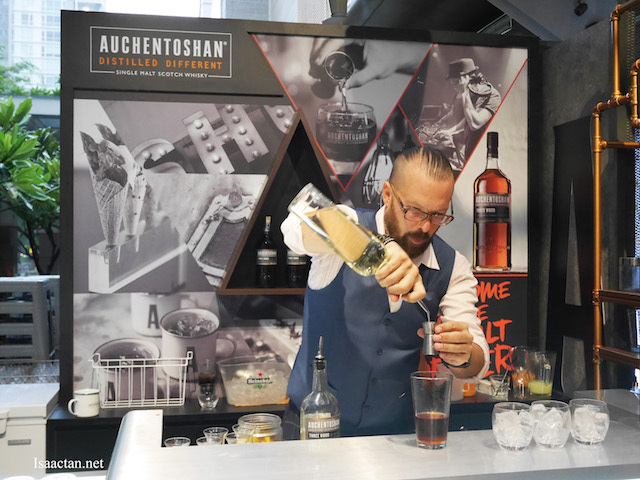 Already a popular venue for whisky drinkers, W.I.P which shares a similar vision with Auchentoshan, aims to express an alternative experience for patrons and initiate a new way of enjoying whisky. An exploration not to be missed, ‘The New Malt Order’ is geared to indulge the new generation of malt explorers.